The last thing we want is to be caught up inside a car that’s engulfed in floodwaters. 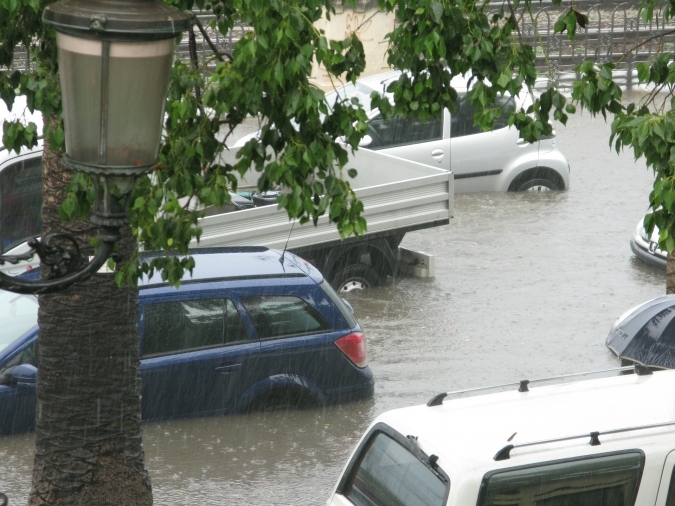 So, what to do if your car is in a flood—and you’re inside? If the flood has entered your stranded car and dangerously filling it up, get out of it right away! Leave your belongings behind. Once the flood has subsided, that’s the time you check you go back to check on your vehicle. With your car having been submerged in floodwaters, don’t lose hope just yet. We’re here to fill you in with some helpful tips that will minimize the damage done and hopefully bring it back to life. Do not start your car. Your first instinct might be to turn on the ignition to see if your car still functions. Don’t! That could contribute more to the damage. Follow these steps to ensure your car’s safety—and yours, too. Determine the level of submersion. Consider your automobile safe if the floodwaters did not reach its doors. If you see water under the dashboard, however, you may need to call a mechanic to have it towed and assessed. As soon as water enters your vehicle, molds will inevitably start to grow. Open the windows and doors, place towels on the floor, and replace wet fabrics such as mats and carpets. You don’t want your car reeking of stench! To determine how much damage the flood has caused, be sure to take a careful look under the hood of your vehicle. Water droplets in your oil dipstick may indicate that the water has seeped into the cylinders. If this happens, check the cylinders, see if there are rusted spots, and change the transmission fluid and motor oil. We recommend you work with a mechanic on this unless you’re skilled in auto repairs. Clean out the fuel system. If you own an old-model car, it’s most likely that its fuel systems aren’t tightly sealed. If that’s the case, you need to drain them of possible water contamination. You should also inspect the power steering, brake, coolant reservoirs, and clutch. Again, we recommend you work with a mechanic on this, unless you’re skilled in auto repairs. Be sure to check all electrical systems – air conditioning, headlights, power locks, windows, turn signals, stereo, lights, and the seats. If you notice something wrong with the way one of these systems functions, take your vehicle to an auto shop. Don’t worry because insurance is likely to cover the damage. Remove water from your engine. Water mixed with oil can damage your engine. Disconnect everything from your engine, after which you need to completely drain it, removing both oil and water. Once you see your engine free from water and oil, connect everything back and make sure to have your engine oil refilled. Check around the wheels for debris. See to it that there is no debris stuck around the wheels. Before you do so, don’t forget to set the parking brake. 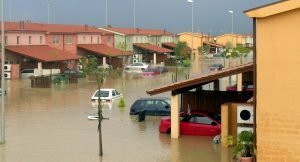 Despite having your flood-damaged car repaired, there’s still a big chance that it will experience problems again and again later on. If you’re thinking of just ditching your car or trading or reselling it, here’s a better idea: Donate it to us at Veteran Car Donations. Why go through the hassles of reselling an old and damaged automobile when you can just get rid of it for free and with a guaranteed tax deduction to boot? Think about the money you have to spend for its repairs and the headache of negotiating with prospective buyers. By simply donating your car to us, you wouldn’t be dealing with any of these nuisances. We will actually be the one to take the trouble of reselling your car for you through an auction. Once your car is sold, we use the proceeds to provide the struggling veterans in your area with physical and mental health care, housing, job training, scholarships, transitioning assistance, and many more. You get back your vehicle’s worth when we send you your tax-deductible sales receipt. This serves as your ticket for claiming your tax deduction. To know more about Veteran Car Donations, our quick and convenient donation process, the tax deductions and other rewards you will receive, the various types of vehicles you can donate, and other related matters, check out our About Us and FAQs pages. You can also call our toll-free 24/7 hotline 877-594-5822 or contact us online for your inquiries. So, you now know what to do if your car is in a flood. If the car has been damaged, are you ready to turn it into a life-saving tool? Donate it to Veteran Car Donations today and make a difference in the lives of our nation’s living yet unsung heroes! Get in touch with us at 877-594-5822!